Providing you the best range of fully automatic feeder machine and fully automatic stacker machine with effective & timely delivery. The clamps are designed as such that the tension of all types of linen is adjusted and to precisely spread and position it into the feed. 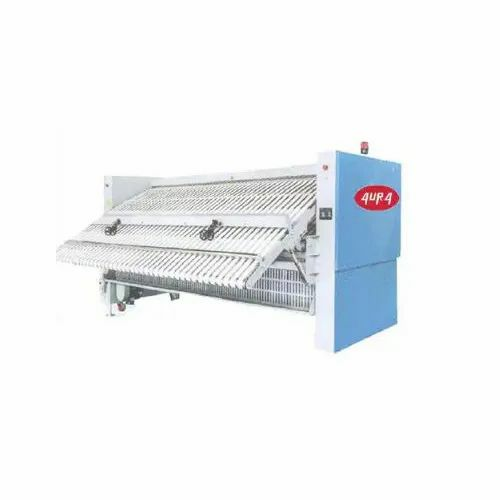 The feeding speed adjustment uses frequency inverter control to adapt the ironing processes of different linens. Adaptability: With vacuum suction it enables to reduce audible noise and create a peaceful working ambience. Damaged lines which are feeded into the machine can be controlled by the operator through large rejection button at the feeding station. Intelligence: The feeders offers a large coloured touch screen with twenty automatic programmes that carries out statistical counts of feeding quantities. 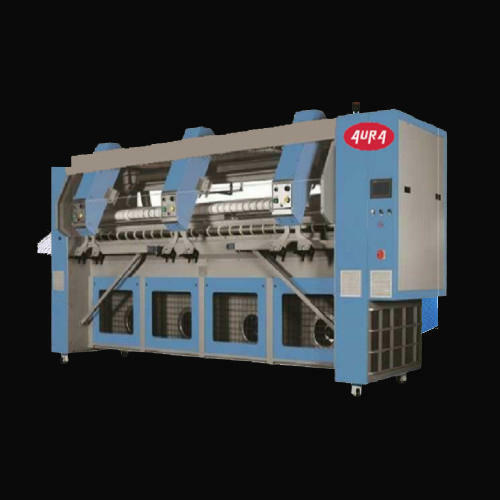 The machines also has an automatic lint cleaning function to ensure that the air exhaust duct is unblocked. We are one of the leading manufacturers and suppliers of Fully Automatic Stacker Machine. 5 Folds Meets Common Need: Standard 2 Primary folds and 3 Cross folds meet most laundry needs. Precise Photelectric cell sensors and measuring wheels provide accurate measurements o PLC for perfect fold. Looking for “Fully Automatic Feeder and Stacker Machine”?